There is genuinely so much going on in Berlin that one could quite easily spend the entire year here without venturing any further afield and not get bored. Even natives that I’ve talked with have said they frequently find themselves in parts of the city which they have never been before, and there’s always a new restaurant, club or café to be discovered. In addition, it’s a classic example of a city that never sleeps and, should you have a 5am craving for döner, dancing or debauchery, a place to fulfil your desires is never far away. That said, after 9 weeks without venturing out of the city, I decided that an excursion was in order. 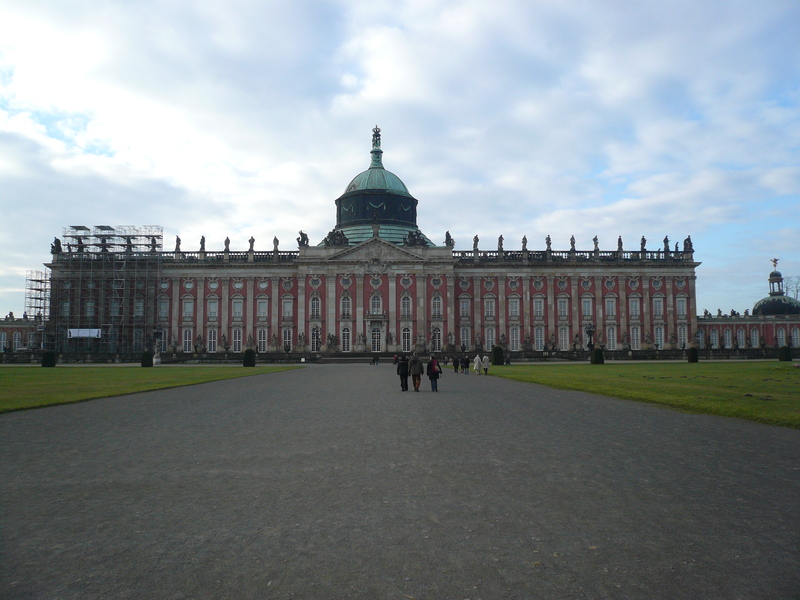 We had been considering a weekend away to Dresden or Leipzig but the plans fell through at the last moment so, making the most of our student travel passes, we opted for a day trip to Potsdam, a university town around 40 minutes away by train. If Berlin is a bright young thing, eccentric, colourful and extroverted then Potsdam is her pretty, calm and studious older sister. As the S-Bahn drove out of the main city and past several forests and large houses (houses! In Berlin! ), it really felt like we were heading somewhere completely different. There was a slightly comedic moment as we got off the train and approached the tourist information counter, bright-eyed and seeking recommendations. “What are the best sights to see in Potsdam?” Perhaps we had made a mistake in beginning with such a well-worn question. Information lady looks unimpressed. “It depends. Here, take a map.” We tried a different tactic. “OK then, Schloss Sanssouci or Neues Palais, which is worth seeing?” “One is older. The other is larger. It’s really up to you,” she says, witheringly. “1€ for the map.” Excellent, I definitely see why you were employed by the tourist information service. 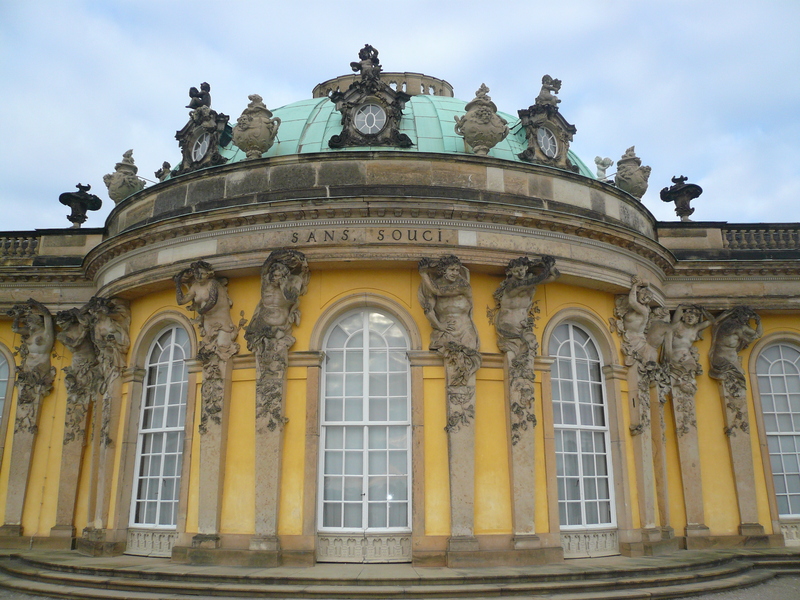 There are many, many pretty buildings and parks to see in Potsdam but most of it is easily accessed in one day by a combination of walking and use of the (ever-reliable) bus service. 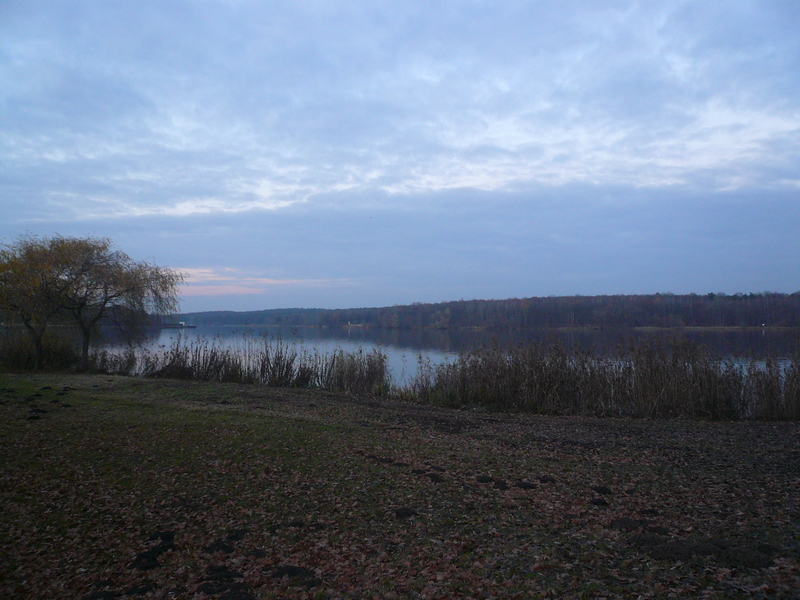 As we strolled past idyllic lakes and through the Sanssouci Park, with its hundreds of trees all decked out in their autumn finery, it felt as though we could have been in Scotland, which was strangely comforting. I had flashbacks of November walks and National Trust visits with my parents (and, keeping the childish spirit alive, couldn’t resist climbing a tree. Some people never grow up). I’m no Bauerntrampel (country bumpkin) but I realise it’s been several weeks since my surroundings have consisted of anything other than giant, graffiti-ed buildings and four-lane roads. Berlin has it’s fair share of greenery too, with parks and trees dotted around at fairly regular intervals, but it was a pleasant experience to spend a day away from the buzz. Compared to other European capitals, Berlin is not particularly fast-paced, but Potsdam was a welcome day of complete calm and beauty. The woman from the information desk may not agree with me, but I would certainly recommend Potsdam as a must-see for anyone living in or visiting Berlin for an extended period of time.